Together since 1989 after meeting while in college, Grammy winners and Mexico City indie rockers Café Tacuba are rightfully credited as the preeminent band to emerge from the rock en español movement of the early '90s. The Mexican quartet has remained one of the biggest acts on the Latin music scene since, inspiring two generations of rockers in their wake. Their self-titled Warner debut in 1992 yielded no less than six hit singles, while its follow-up, 1994's Re — whose songs remain an active part in their concert set list — is such a cornerstone of influence, Rolling Stone magazine placed it in the top spot on its list of the 10 Greatest Latin Rock Albums of All Time. Café Tacuba's stage antics and nearly limitless creative endeavors have made them a sell-out touring attraction not only in their home country and throughout Latin America, but in North America and Europe as well. 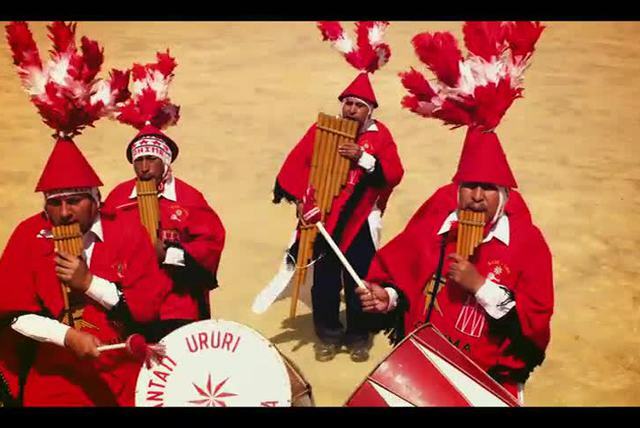 In reality, the Tacubas aren't all that well-served by the "rock en español" tag; the "rock music sung in Spanish" descriptor does little justice to the stylistic diversity and creative strides showcased by Café Tacuba over the course of their career. The band employs a standard rock lineup of guitar/bass/drums with vocals, certainly, but the members also incorporate electronics as well as exotic instrumentation into their music, which encompasses styles as divergent as punk and ballads, as well as regional Mexican sounds like norteña, cumbia, ranchera, and even mariachi and electronica, indie pop, and garage rock. While their sound is instantly recognizable, no Café Tacuba album sounds quite like another, for the band generally pursues a grand artistic vision for each project that goes all the way from the scope of the album to which musical styles will be fused, to which collaborators are best-suited for the performances, to the actual packaging design of each release. 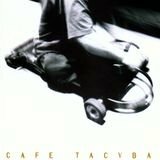 While critics look at these reasons to signify Café Tacuba's importance, legions of global music followers are enamored with them simply because of their music, which is broadly appealing not only because of its groundbreaking nature, but also because of it's fun, madcap, and ever-changing. 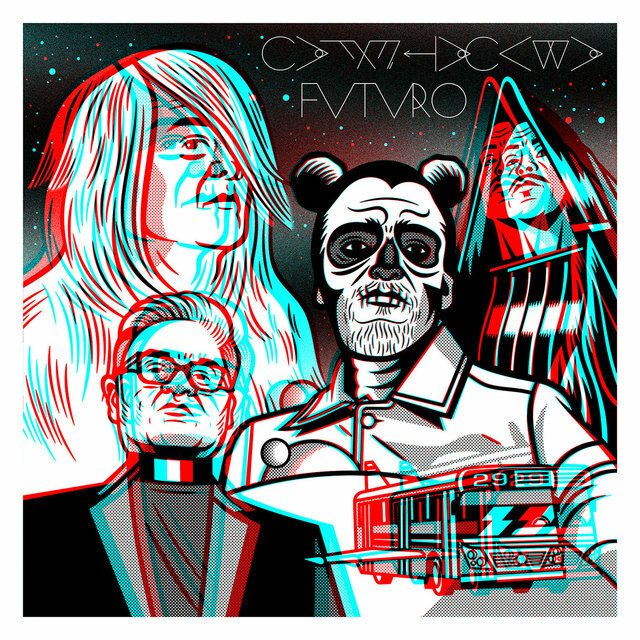 While the band's first few albums are roller coaster rides of willfully whimsical stylistic fusion, at the end of the 20th century with the double release Revés/Yo Soy in 1999, Café Tacuba's music grew more challenging and experimental with each succeeding project, as well as more mature and earnest — but retained its often surreal sense of humor. Comprised of Rubén Albarrán (vocals, guitar; born Rubén Isaac Albarrán Ortega), Emmanuel del Real (keyboards, programming, acoustic guitar, piano, vocals; born Emmanuel del Real Díaz), Joselo Rangel (electric guitar, acoustic guitar, vocals; born José Alfredo Rangel Arroyo), and Enrique Rangel (bass guitar, electric upright bass, vocals; born Enrique Rangel Arroyo), the band began humbly enough as four friends who played rock music in the garage of a house in their neighborhood, Satélite, an upper-middle-class suburban area in the Naucalpan municipality, in the northern region of the sprawling Mexico City metropolitan area. The guys originally called their band Alicia Ya No Vive Aquí, after the 1974 Martin Scorsese film Alice Doesn't Live Here Anymore. They were influenced principally by alternative rock bands of the '80s like the Cure, the Clash, the Smiths, and Violent Femmes. Despite their English-language influences, they wanted to represent their native culture, so they incorporated Mexican signifiers into their music and changed their name. They chose Café Tacuba, which is the name of an old restaurant located on Calle Tacuba a few blocks west of the zócalo (i.e., town square, or plaza) in the Centro Histórico district of Mexico City. The word Tacuba is another name for Tlacopán (which means "florid plant on flat ground"), a Pre-Columbian Mesoamerican city-state founded on the western shore of Lake Texcoco in the Valley of Mexico. 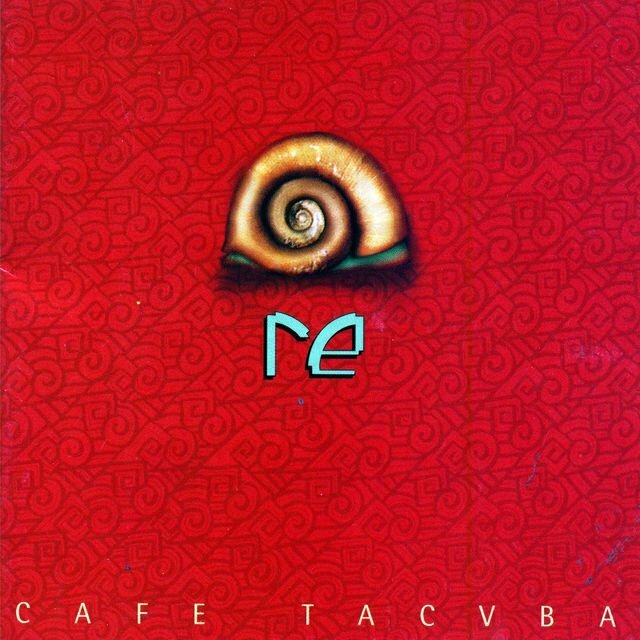 Once Café Tacuba became popular with the release of their debut album, they printed their name with a V in place of the U in Tacuba, thereby steering clear of any legal threat posed by the restaurant of the same name. 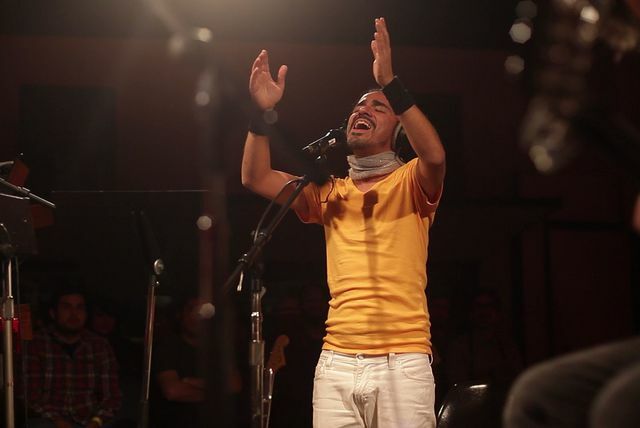 Café Tacuba made the jump from garage band to concert act in 1989, when they joined the scene surrounding El Hijo del Cuervo, a cultural club showcasing writers and musicians. El Cuervo, as it is sometimes referred to, was founded in 1987 in Coyoacán, a southern borough of Mexico City, and has become renowned for the number of significant artists it has presented over the years (Julieta Venegas also notably among them). Other clubs that Café Tacuba haunted early on include El 9, El Tutti Frutti, Rockotitlán, and El LUCC. As they gigged around Mexico City, they caught the ear of Gustavo Santaolalla, who at the time was producing albums for leading bands amid the burgeoning rock en español uprising, namely Maldita Vecindad (Y Los Hijos del Quinto Patio, 1989) and Caifanes (El Diablito, 1990). Santaolalla arranged a contract for the band with WEA Latina, with plans to produce their debut album himself. Café Tacuba in turn proceeded to record their first song for commercial release, "Tamales de Iguanita," which WEA released as part of a Christmas-themed rock en español compilation, Diciembre 25 (1990). 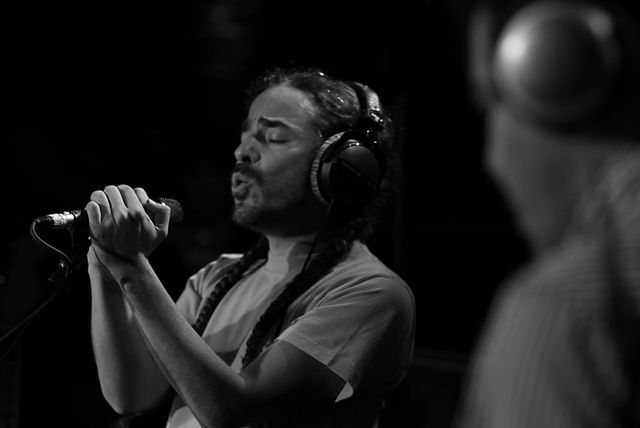 Produced by Santaolalla in tandem with his longtime production associate Anibal Kerpel, Café Tacuba (1992) firmly established the band as one of the most promising acts to arise from the rock en español scene. 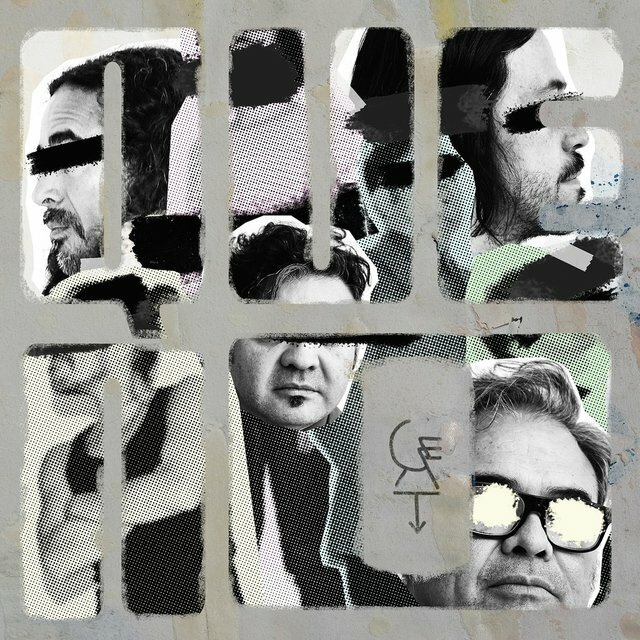 The thing is, the rock en español tag, while understandably useful in terms of marketing as well as media coverage, didn't do justice to Café Tacuba and their stylistically sprawling debut album. 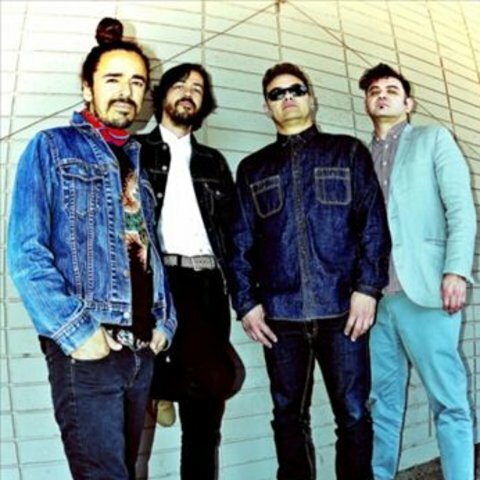 Certainly, rock was a key aspect of the band's sound on the album; however, Café Tacuba fused aspects of innumerable music styles into their music — from punk and ska, to electronica and hip-hop, to regional Mexican varieties (norteño, bolero, ranchero, et al.) 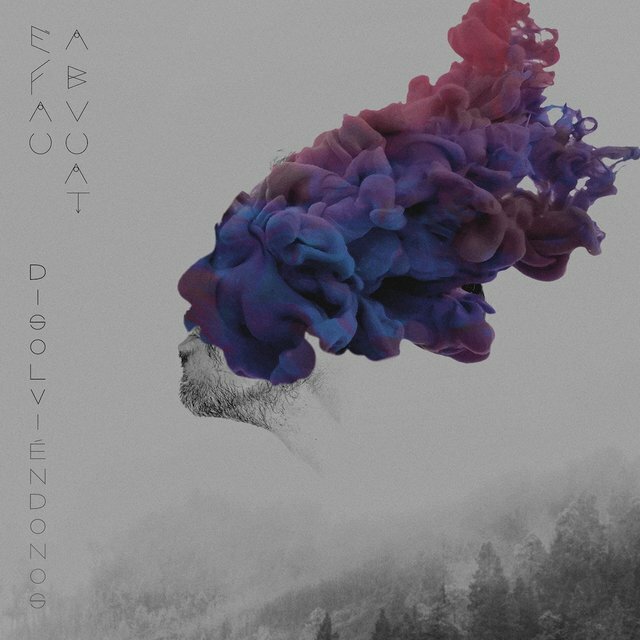 — to the point where the only common characteristic from song to song was Albarrán's distinct, nasally vocals and the band's guitar/bass/drums instrumental core. The lyrics were likewise wide-ranging from song to song, yet again like the music itself, generally wild and wacky. 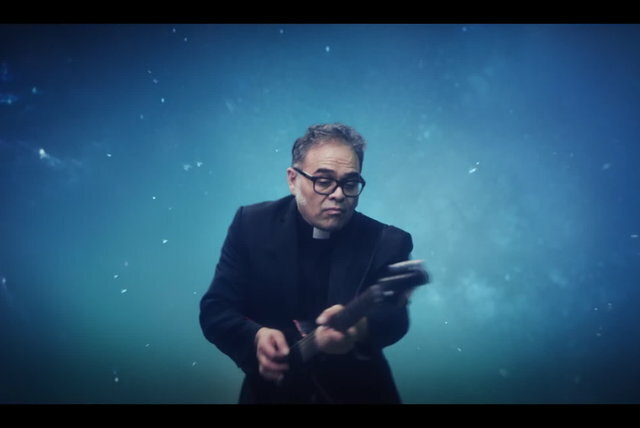 Café Tacuba spun off numerous singles — "Maria," "Rarotonga," "Las Persianas," "La Chica Banda," and "Las Batallas" — with a promotional video filmed for each, with the exception of the latter. The band's recording career was off to a dashing start. Two years later came the follow-up album, Re (1994), which was again helmed by Santaolalla. Even more stylistically careening than Café Tacuba, Re seemed to take the most notable aspects of its predecessor and amplify them: not only are there two-thirds more songs and a broader palette of instrumentation, but the songs are more willfully whimsical (e.g., the industrial metal workout "El Borrego," the norteño parody "La Ingrata"). In fact, Tacuba seem to engage in a game of style switching throughout the album, rather than the general diversity of their debut; whereas Café Tacuba finds the band incorporating various styles into a given song, all the while maintaining a fairly consistent tone over the course of the album, Re finds the group switching from one style to another on each successive song, for a jarring effect. One could argue that Re is a rejection of the overly simplistic rock en español tag, which most acts labeled as such did indeed loathe, and surely most critics did stand at attention: a comparison was frequently drawn to the Beatles' touchstone White Album — a tour de force showcasing a popular rock band resolutely careening from style to style on one song after another. 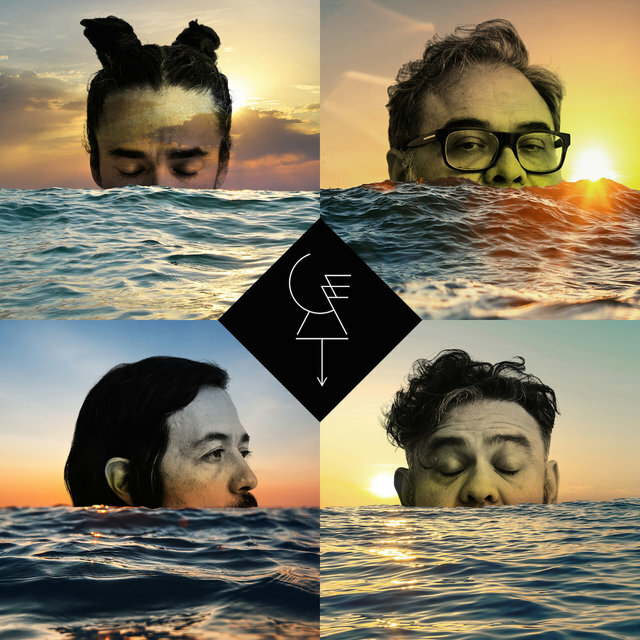 Re substantially furthered the acclaim showered upon Café Tacuba for their debut album, and a string of hits including "La Ingrata," "Las Flores," and "El Ciclón" ensured a warm reception commercially. Moreover, Re initiated the band's tendency to incorporate collaborators and exotic instruments; in this case, collaborators included violinist Alejandra Flores, while unconventional rock instrumentation like the jarana, guitarrón, melodeon, and drum machines was employed. Re also began to lay the inroads Café Tacuba would make into the international marketplace; in particular, the band's attendance at the 1995 New Music Seminar in New York helped garner some media attention stateside, where a cult following was beginning to emerge. Meanwhile, Café Tacuba's next release, Avalancha de Éxitos (1996), consolidated their Mexican fan base. 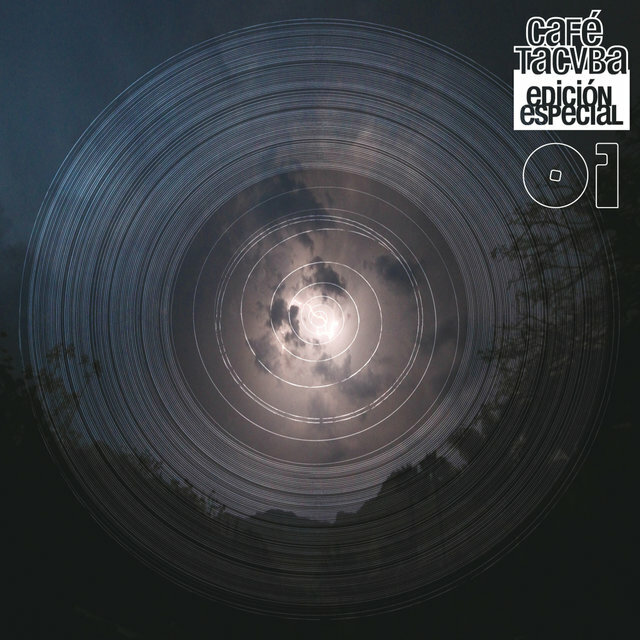 The eight-song mini-album is comprised of daring covers of well-known songs by popular Latin artists, namely Juan Jaime López, Axis, Flans, Bola de Nieve, Botellita de Jerez, Alberto Domínguez, Juan Luis Guerra, and Leo Dan. 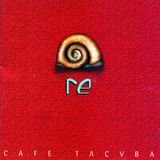 The songs covered may be familiar, but these versions certainly aren't; à la Re, Café Tacuba went about switching styles from song to song, reinterpreting the familiar in a drastically unfamiliar way. Yet another success, Avalancha de Éxitos marked Café Tacuba's first appearance on Billboard's album charts (number 12 on the Latin Pop chart, 28 on Top Latin Albums), and the band commenced an international tour to promote it. In the wake of touring, not to mention the streak of three popular and critically praised albums in a row, Café Tacuba withdrew for a while. 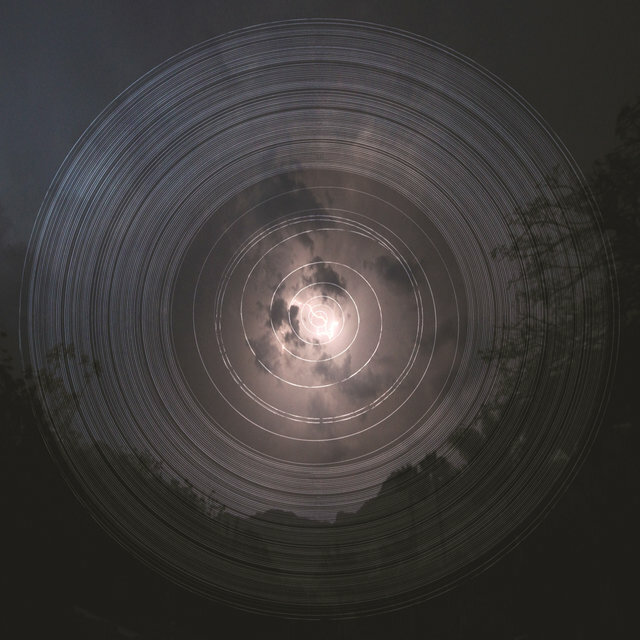 When they returned to work, they holed themselves up in their own studio and spent roughly a half-year on experimental music that encompassed ambient electronica and musique concrète as well as collaborative work with the Kronos Quartet. Santaolalla liked the resulting music and deemed it ready for release as is. 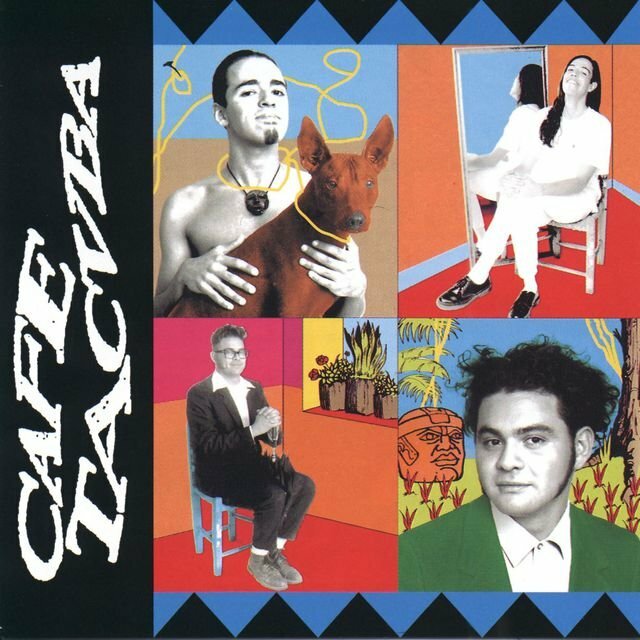 WEA had other ideas, however, and balked at the prospect of releasing an entirely instrumental album of experimental music; after all, Café Tacuba had become one of the most popular bands in Mexico by this point, and were on the brink of breaking into the international marketplace. Much was at stake — commercially, that is. 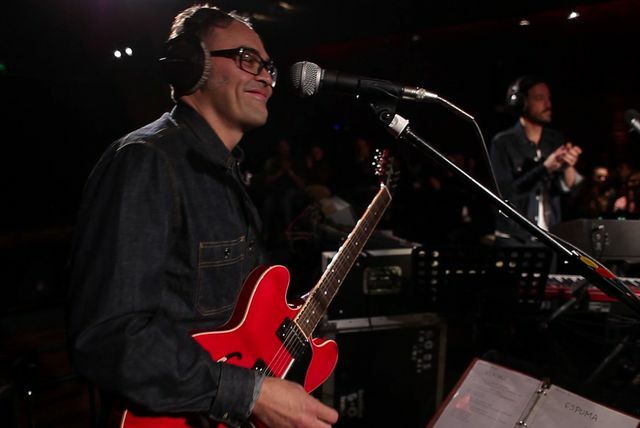 In the end, WEA and Café Tacuba reached a compromise: if the band would record a second album of more conventional material, the label would release both as a double-disc package and sell it for the cost of a standard single-disc album. 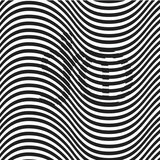 And so Café Tacuba resumed studio work, this time digging into their vast backlog of previously written material not yet released. The resulting album ended up reflecting how much the band had matured since its last conventional album, Re, recorded a half-decade earlier. Gone was some of the band's zaniness, replaced by a newfound tone of earnestness. Finally released in July 1999, Revés/Yo Soy was hailed at the time as a landmark release, especially by critics, who tended to be amazed by the level of creativity on display. 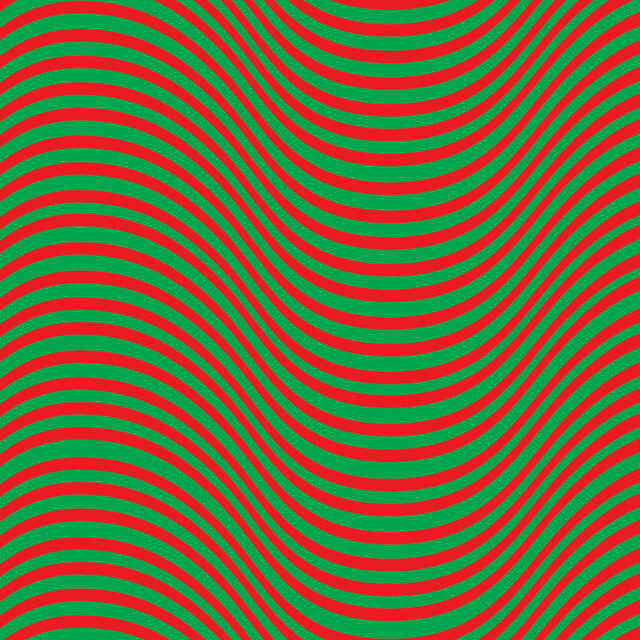 From the album's outlandish packaging (designed by Albarrán) to its maddening track sequencing (too complicated to explain in short), Revés/Yo Soy gave critics and fans plenty to consider and discuss. 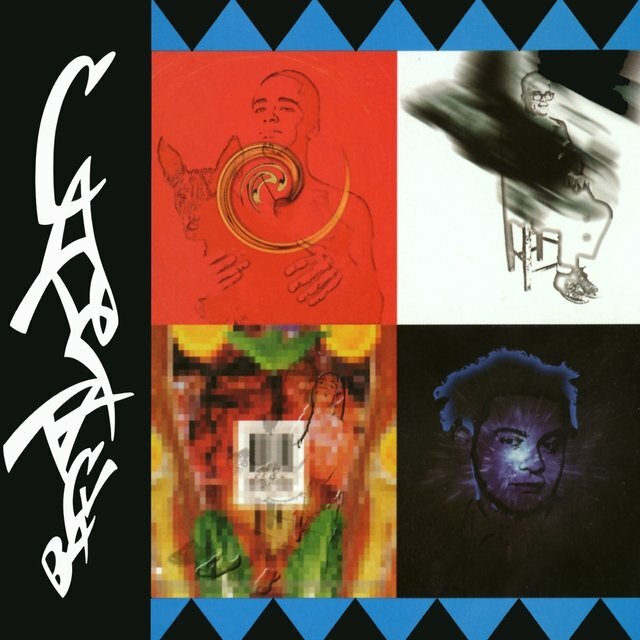 For example, note the album's titles: Revés (which translates to "reverse") and Yo Soy (a palindrome). In addition to the novel aspects of the album, its more accessible half, Yo Soy, continued to win over more listeners for the band, with singles such as "La Locomotora" and "La Muerte Chiquita." Acclaim for Revés/Yo Soy included a Latin Grammy for Best Rock Album, and though the album wasn't as commercially successful as previous ones had been, increasing numbers of stateside observers were taking note of this curious band from Mexico. No doubt, the stage was set for the cascades of critical adoration that would greet Café Tacuba's next album. That album, Cuatro Caminos (2003), wouldn't come for another four years. 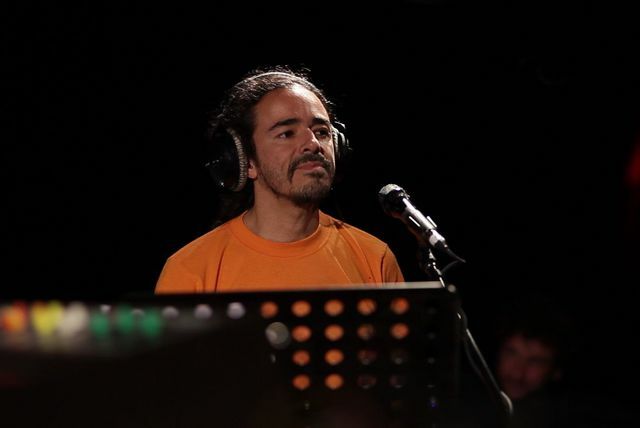 In the meantime, Café Tacuba contributed one-off recordings to various projects like the Amores Perros (2000) and Y Tu Mamá Tambien (2002) soundtracks — the songs "Avientame" and "Dog:God" to the former; "Insomnio" to the latter — as well as the tribute album El Mas Grande Homenaje a Los Tigres del Norte (2001), which included a cover of "Futurismo y Tradición." Furthermore, del Real and Joselo Rangel produced a couple songs for Julieta Venegas: "Me Van a Matar" for Amores Perros and "Disco Eterno" for Tributo a Soda Stereo (2001). Rangel also took the time to work on a solo album, Oso (2003), which was produced by Albarrán. 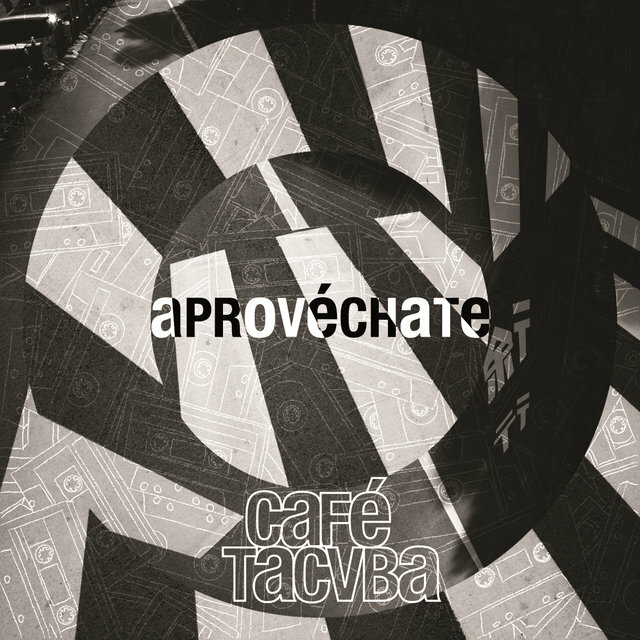 While Café Tacuba pursued these various projects, they were shopping for a new recording contract; the WEA relationship had come to an end with a trio of compilations released in 2001: Tiempo Transcurrido: The Best of Café Tacuba, a single-disc greatest-hits collection; a videos collection of the same name; and Lo Esencial de Café Tacuba, a triple-disc package containing the band's first three albums. Maverick Records, Madonna's label, was reportedly courting Café Tacuba during this time; however, the band ultimately decided to sign with MCA in 2002. 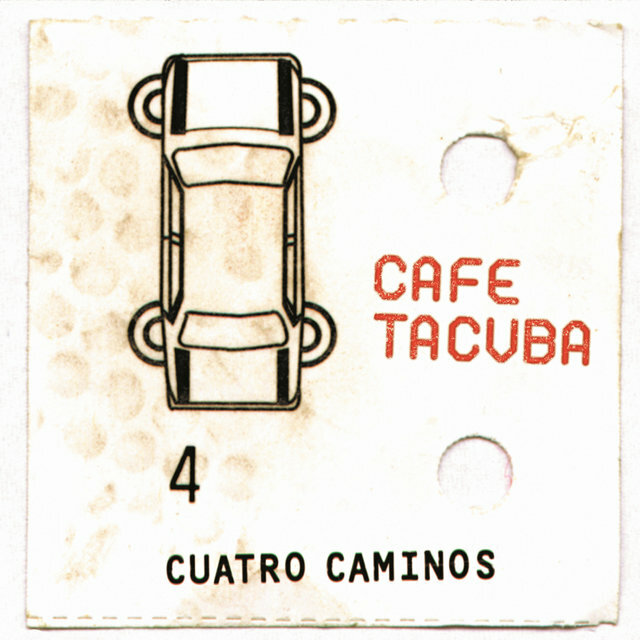 Before work began on Cuatro Caminos, Café Tacuba recorded a four-song covers EP, Vale Callampa (2002), dedicated to Los Tres, an influential Chilean rock en español band. 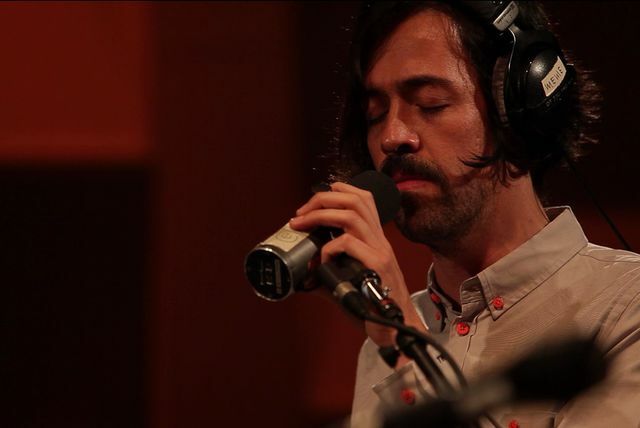 That band's lead singer, Alvaro Henríquez, was invited to perform with Café Tacuba at the MTV Latin America Video Music Awards that year, as were rock en español singer/songwriters Erica García and Ely Guerra. When the time did come to begin work on Cuatro Caminos, the band took a different approach than in the past. For one, they decided to work with a live drummer; they recruited Victor Indrizzo and Joey Waronker. Secondly, they wanted to work with a couple choice producers besides Santaolalla and Kerpel; they recruited Dave Friedman and Andrew Weiss. 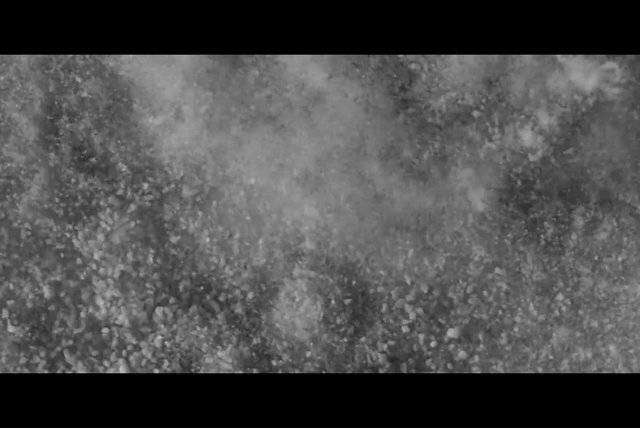 A homogeneous album resulted, without the style switching of past albums. Released in June 2003, Cuatro Caminos was met with palpable anticipation as well as high expectations. 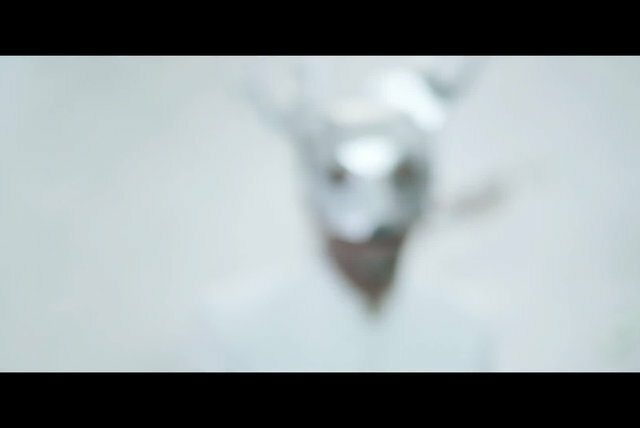 No one seemed disappointed upon its reception: not critics, who likened it to Radiohead's Kid A (2000); not fans, who were enthused to hear a new full-length after a four-year wait; nor MCA Records, who were delighted to see Café Tacuba reach new commercial heights. Cuatro Caminos went on to net a standard Grammy for Best Latin Rock/Alternative Album as well as Latin Grammys for Best Alternative Album and Best Rock Song ("Eres"). 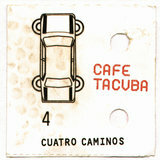 After the release of Cuatro Caminos, Café Tacuba toured extensively. They performed shows in the United States, among other countries, and they put on a special show in front of 170,000 people in Mexico City at El Palacio de los Deportes in October 2004 that became the basis of Un Viaje (2005). 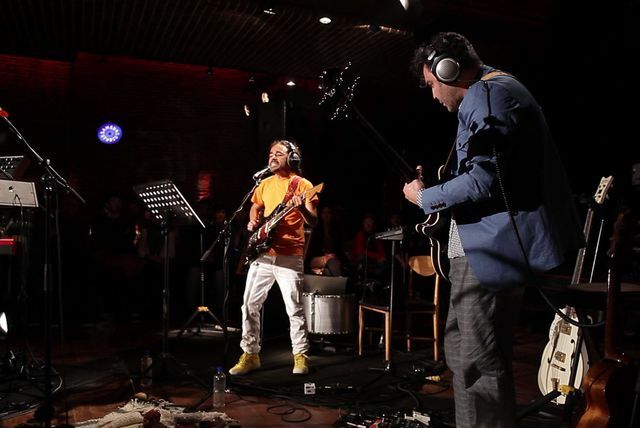 A celebration of Café Tacuba's 15-year anniversary as a band, the show found them revisiting their back catalog, starting with songs from their 1992 debut album. MCA released Un Viaje as a double-disc CD, a DVD, and a deluxe three-CD/DVD box set. 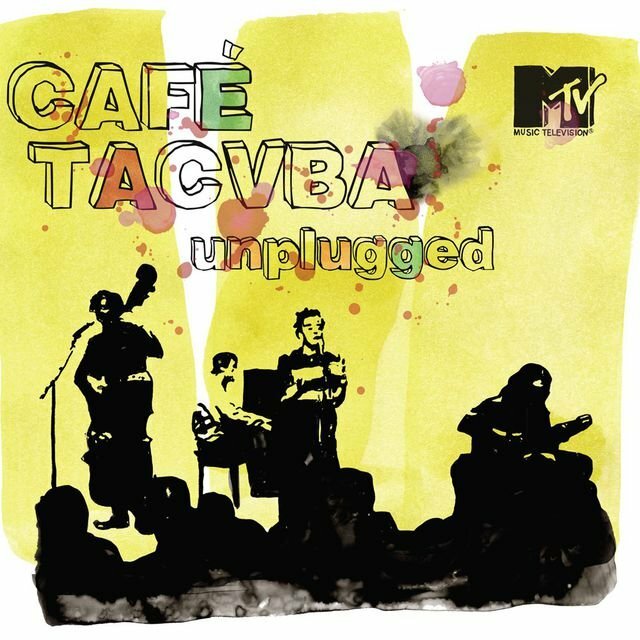 A couple months later, Café Tacuba's previous label, WEA, issued Unplugged in commemoration of the tenth anniversary of the band's memorable performance in 1995 on the popular MTV show of the time. WEA released Unplugged as a CD, DVD, and CD/DVD. As they had in the years preceding Cuatro Caminos, the members of Café Tacuba pursued their personal interests when they weren't touring in the years that followed. In particular, del Real kept busy with studio work, contributing production, songwriting, and instrumentation to albums by Ely Guerra (Sweet & Sour, Hot y Spicy, 2004), Natalia y la Forquetina (Casa, 2005), Liquits (Jardin, 2005), and Los Tres (Hagalo Usted Mismo, 2006). In 2007, Café Tacuba returned with a new studio album, Sino, and performed on the main stage at Lollapalooza that summer. 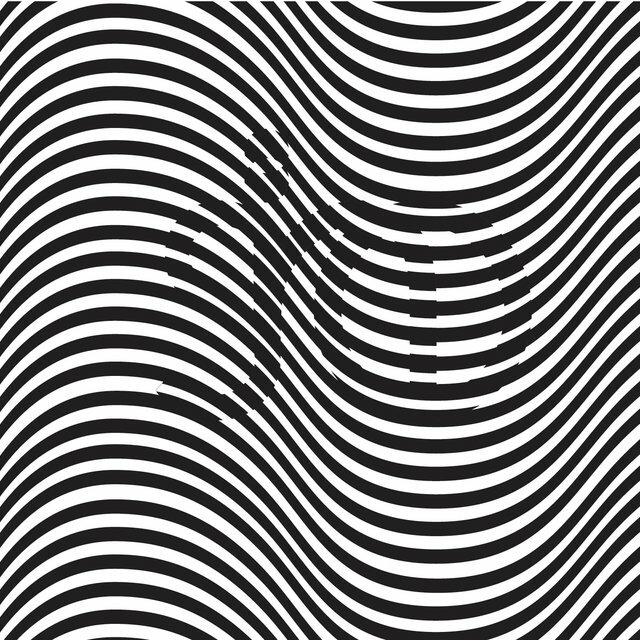 In 2009, they re-released Yo Soy — half of 1999's experimental package that also included Revés. 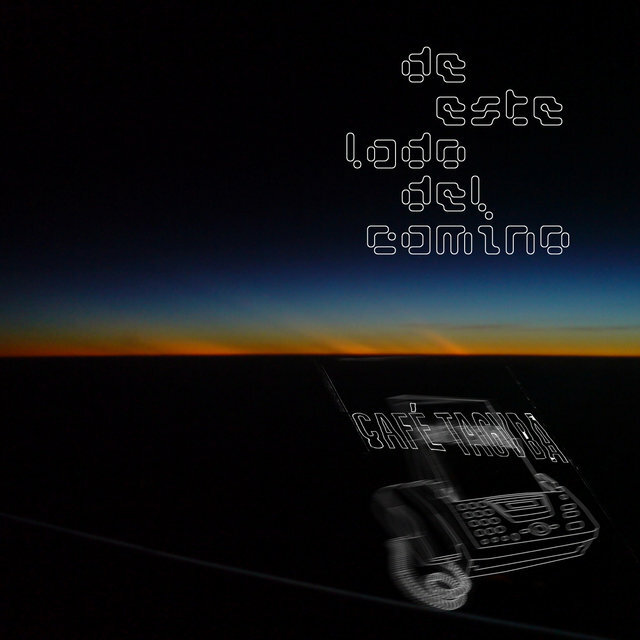 After a five-year break from recording, the band returned in 2012 with the single "De Este Lado del Camino," which topped the Latin charts and was followed by the album El Objeto Antes Llamado Disco. It placed in the Top Ten on both the Latin Pop Albums and Top Latin Albums charts and was nominated for an Anglo Grammy (Best Latin Album — Alternative or Urban), and two Latin Grammys, Best Alternative Album and Best Long-Form Music Video — they won the latter. 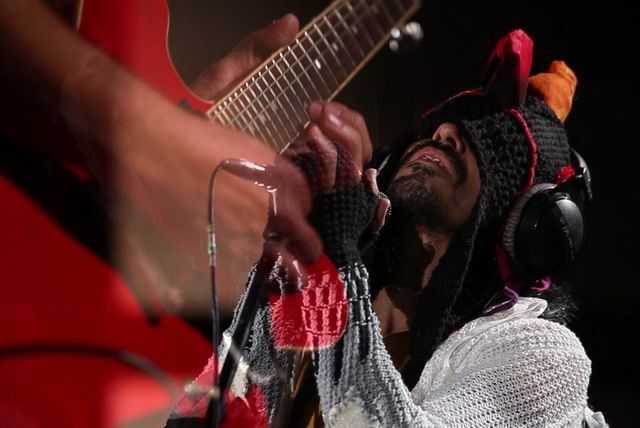 After touring the U.S. and Mexico, Café Tacvba's members focused on individual projects. Guitarist Joselo Rangel published his second book, a collection of short stories entitled One Hit Wonder (his first, Crocknicas Martians was also reprinted). His brother, bassist Enrique "Quique" Rangel joined Priscila Gonzalez de Quiero Club to form a band called Presidente. Keyboardist/vocalist Emmanuel Del Real "Meme" Diaz issued a pair of solo singles including "No Puedo Parar," and "Todo Va a Estar Bien." 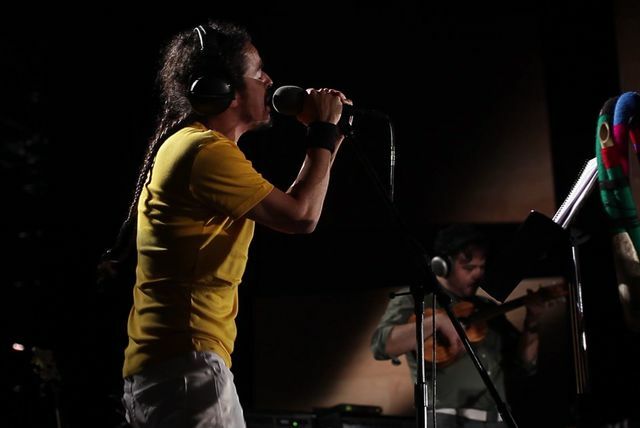 After playing a festival concert atop a small mountain in 2016, Cafe Tacvba began writing and recording new material with longtime producer Gustavo Santaolalla and mixing engineer Mick Guzauski at Ocean Studios in Burbank, California, with live drums provided by Joey Waronker (they use Luis Ledezma in concert but he is not an official member). 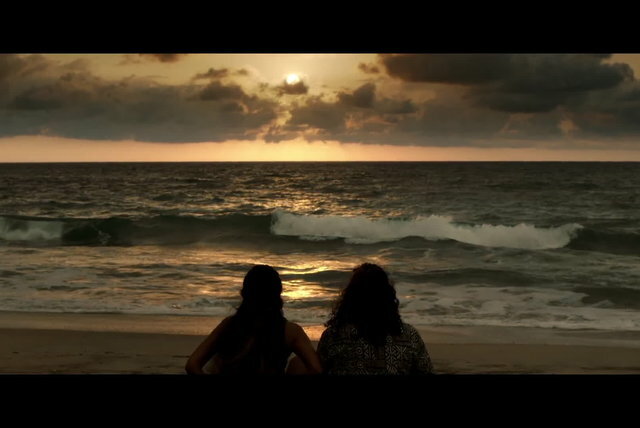 A video single for "Un Par de Lugares" was released in September, just before the publication of group's autobiography, Bailando por Nuestra Cuenta, in which each member narrated his own story in an interview with noted journalist Enrique Blanc.